“GearBest is for gadget lovers by gadget lovers”: this is the first thing that pops up to my eyes everytime I visit the site. And in my experience, no online store site has been able to describe itself so well and with such brevity. We all know of Amazon and eBay and their vast line up of consumer products like clothes, food and other odd items. But GearBest solely focuses itself on selling the coolest tech and the latest gadgets the market has to offer, and with amazing discounts. Being a gadget freak myself, my room is littered with devices like the Mi Band 3 and the Xiaomi Mi 5000 Lumens Laser Projector. And more often than not, a majority of my purchases are from GearBest itself. Their discounted prices are to die for, and they truly have one of the best shipping and customer services I have ever experienced. Read on my review on one of the best emerging shopping portals of recent times. Well, a thorough list and description of all the products sold in GearBest might be too long and cumbersome. So, to give you an idea of the kind of gear they sell, let me list out their top sellers of 2019. 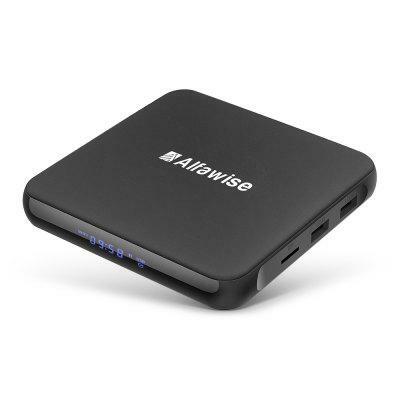 The Alfawise S95 is all about hooking it up with your TV and availing free access to tons of multimedia content. This TV box comes with an Amlogic S905W Quad-core Cortex-A53 CPU and a Mali-450 GPU, which make it one of the most efficient and fastest TV box in the market. With an Android 7.1 OS, operating it is rather simple, and it even has a very convenient interface. And the 1GB DDR3 + 8GB eMMC or 2GB DDR3 + 16GB eMMc build ensures that you have enough space to store your favorite media. This was one gadget that I got for myself as well. When I am not out writing reviews for shopping brands or products, I invest a lot of time in digital painting. And after going through extensive reviews on GearBest, I settled on the HUION New 1060 Plus. 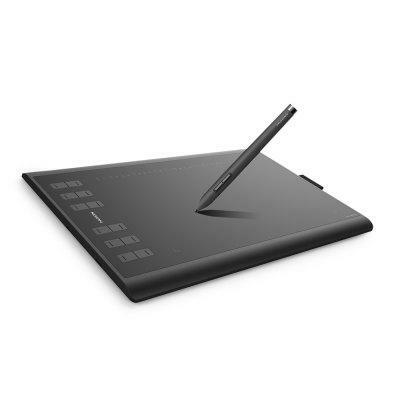 What makes this product so amazing and user-friendly is the 8192-level pen pressure sensitivity. It significantly simplifies accurate line making by making the pen movement as smooth as possible. And along with the addition of express keys, drawing intricate patterns was never so easy. This one is for all the gamers out there. When one hears of a graphics card, Nvidia and AMD are probably the first that come to mind. But truth be told, there are a lot of other fantastic graphics card brands out there that have a variety of options with amazing processing speed to boast. The Colorful iGame is one of them, and a lot of their models are found in GearBest itself. 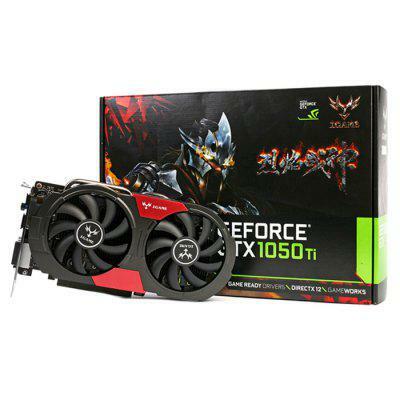 The 1050Ti is their best selling graphics card, and with its 128 bit, 4GB of DDR5 RAM and $235.99 (29% off) price tag, it’s no surprise why. Being a movie buff myself, I cannot imagine a room that doesn’t have at least one device entirely dedicated to providing breathtaking movie experiences. For me, this is where the Xiaomi Mi 5000 Lumens Laser Projector comes in. Gifted to me by my husband on our 5th wedding anniversary, this projector is equipped with the latest in ALPD or advanced laser display technology that helps it to generate 150 inches of full HD multimedia from a 50cm distance. 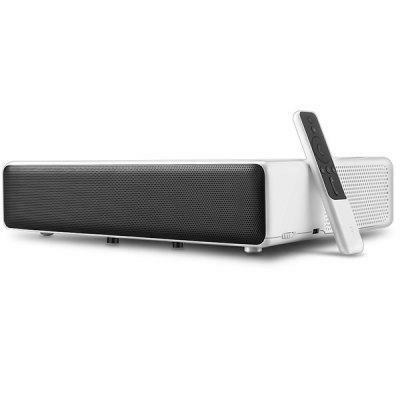 And along with the Dolby surround sound technology it makes for one of the best home theatre experiences the media industry can provide. 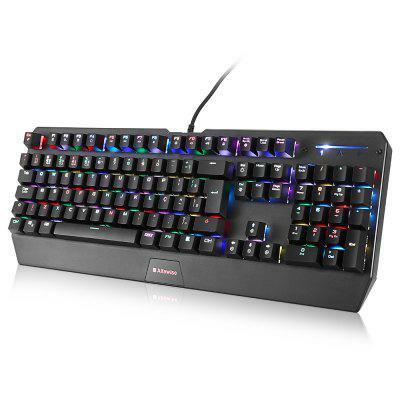 One of the most popular gaming keyboards under the $40 price tag, the Alfawise V1 Mechanical Keyboard is as value for money as you can get when it comes to gaming accessories. Its mechanical blue tactile switches come with audible key clicks along with a ridiculously fast response time. And what truly sets it apart from the rest of the competition are the presence of the macro keys. These keys have their own unique set of dedicated backlights, making it a must-have for professional gamers and streamers alike. As I have mentioned before, I have been buying from GearBest for a very long time now. The site is surprisingly well stocked, and a lot of their items are sold at tremendously low prices with huge discounts. This is something which you will not find all that easily in other similar stores. Every product description is quite detailed, and along with the free shipping, I do not have to pay any extra charges for my purchase (import taxes excluded). Getting a refund on all purchases is fast and easy as well, even if the item is packed and set for delivery, the refund is still generated. The discounts skyrocket during the Black Friday, and alongside the remarkably lowered prices, GearBest hands out coupons every 45 minutes that assures gifts and unique offers. But unfortunately, these coupons are limited to a single warehouse alone, and can only be used for specific products; these coupons have no resale value as well. Another unique aspect of GearBest is their VIP program. It’s a system that is solely based on growth points, which one can earn through various purchases. When earned to a substantial amount, growth points unlock a new profile level that can give you the chance to win a “Great Coupon”. The Great Coupon makes avail some of the more exclusive products on much bigger discount rates and special offers. This system is also quite generous I must add. When I started my account on GearBest, I was almost instantaneously leveling up with every purchase. My 1st level up gave me a 188$ gift voucher along with a 6% to 11% discount on my next gadget purchase (with no product limitations I might say). The shipping and product affordability may be great, but GearBest has a lot of problems when it comes to packaging. And I am not just basing this solely on customer reviews, but from personal experience as well. I’ve been a victim of faulty packaging two times now, from this portal. Once was when I bought 3 monoculars in one package, where 2 of them were fine but the 3rd had a broken focal adjustment knob. The other time was with my order on the Xiaomi Mi TV 4A, the package that came looked incomplete with loose slits on multiple sides. The TV within did not have a proper protective barrier, and it had a lot of scratches on the screen. I have seen some issues with the website page as well, but only on certain browsers. It has some annoying bugs, which at times doesn’t allow me to see the cart correctly, or even grant access to the profile menu. But what GearBest lacks in packaging, it amply makes up for it with its fantastic replacement policy and customer support. Again, I would also like to talk about this in terms of my own personal experience and not just from their portal and various customer reviews. When my monoculars came in, as I had mentioned, the 3rd one was damaged, and on seeing it without much delay, I submitted a return/refund request. I soon got a call from customer support, and she carefully guided me through all the steps I needed to take for my replacement/refund to generate. She asked me to send pictures of the damaged products to their support portal, and I posted 3 pictures right away (I think I should mention here that I went through the same steps for the Mi TV 4A as well). She then promptly asked me if I wanted a refund to my GearBest wallet or card, or if I wanted a full replacement. I opted for the replacement, and within 12 hours they took the damaged gear through the DHL worldwide express, and I got a new set of monoculars in the next 72 hours. In recent years, GearBest has risen to be one of the most popular gadget shopping portals that has sometimes competed head to head with titans like Amazon and eBay. With significantly discounted products and featuring a majority of the leading electronic brands, it’s no surprise why it has become a go-to for a lot of gadget freaks (me included). Hope you enjoyed my review today.